Reliance Jio SIM cards are the hottest cake in the technology world of India. Many peoples are trying to issue Jio sim which is offering unlimited internet data, unlimited calls to any network in India for 90 days. It offers LTE volte 4G network for Internet and calls. Jio calls are known as known as HD calls due to their superb voice clarity. In this blog I am trying to guide you to how to get Jio sim. Here I am posting my mehods followed by me to get the SIM without lyf phone. I will also explain to get JIO with lyf phone. Reliance Infocomm JIO sim can be bought by different methods and I am going to explain all the methods known by me. I think this is the easiest way to get Jio Sim, lyf mobiles can be bought from various online stores starting from 4,199 at the time of article writing. Phones are available through various online stores like Amazon, snapdeal, flipkart, Reliance Digital, etc. These are the cheapest phone available till now. These phones can be also bought in offline modes through various shops and Reliance Digital, Digital Xpress or a Digital Xpress mini store. Stores can be located by clicking this link. Jio sim can be bought without lyf mobile, there are two processes to get JIO sim without lyf mobile. You can get preview offer on your existing phone or purchase a new phone from the store for quick activation. Jio preview offer is currently available on many 4G phones and more phones are added on the interval of some days. 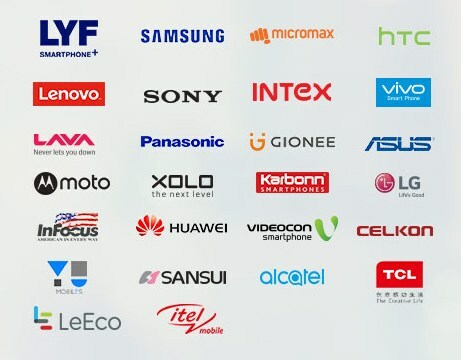 The previe offer is available on Samsung, Micromax, LG, Sony, Lava, Asus, Gionee, Panasonic, Videocon, Xolo, TCL, Alcatel, Karbonn, Sansui, Yu devices, etc. Eligible Device for Reliance Jio preview offer can be checked from the below image. If you have a 4G device which is not eligible for Jio SIM, Reliance might announce more manufactures devices in coming days. If you don’t have a 4G phone, then you have to purchase a new 4G mobile to access the unlimited features of Jio. Mobile phones should be bought from Reliance Digital, Digital Xpress or a Digital Xpress mini store for quick activation. If you have a Aadhar Card, activation process will take only 15 minutes.